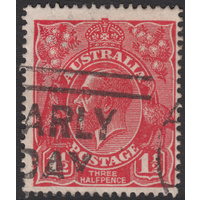 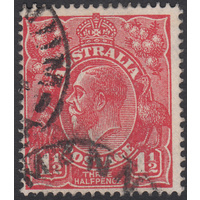 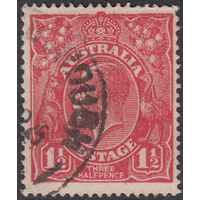 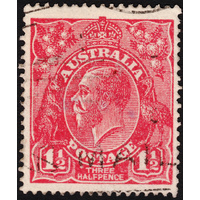 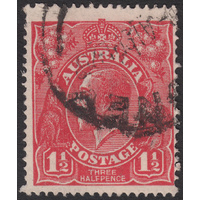 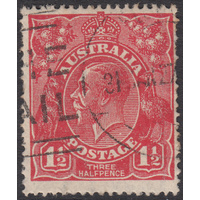 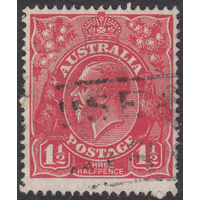 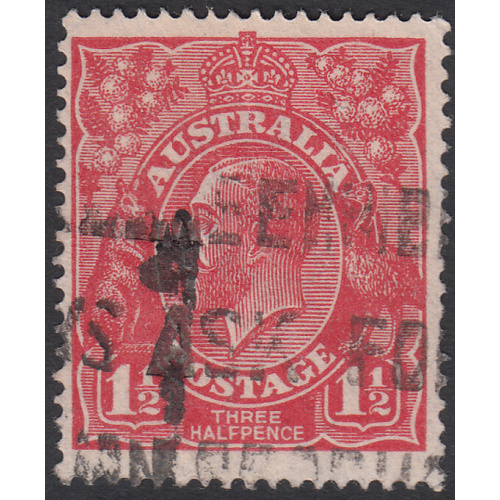 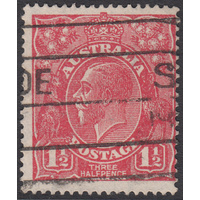 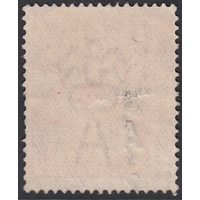 Australia KGV 1924, 1&1/2d Red, Single Watermark, variety 17L16 (Flaw on left leg of last A of AUSTRALIA, flaws above IA of AUSTRALIA, flaw on A of POSTAGE) in Good Used condition with a tiny split in the stamp caused by the heavy postmark impression. 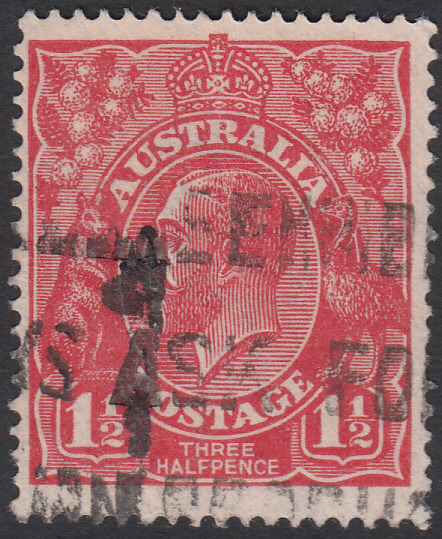 Reasonably centred with a machine cancellation clear of the variety and other two indicators. 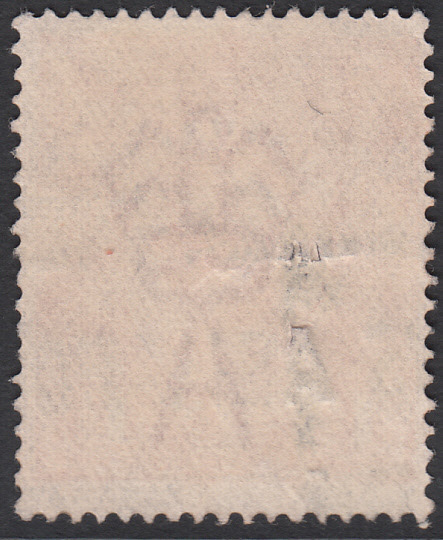 BW 89(17)e.